David L. Smith was born in Mount Meigs, Alabama, and attended Sidney Lanier High School in nearby Montgomery. He received his B.A. degree from New College in Sarasota, FL, and his Ph.D. from the University of Chicago. Since 1980, Smith has taught at Williams College, where he is the John W. Chandler Professor of English. At Williams, he has served as Dean of Faculty and as Chair of African-American Studies. As a visiting professor, he has taught at The University of North Carolina at Chapel Hill, Duke University, and New College of Florida. Smith has received many awards and fellowships for his scholarly work, and he has served as a consultant and on the boards of various scholarly organizations, including the Smithsonian Institution, the Folger Shakespeare Library, the Southern Humanities Media Fund, the Massachusetts Foundation for the Humanities, and The Mark Twain House in Hartford. David Smith’s scholarly interests include Mark Twain, Southern Literature, Nature Writing, and the Black Arts Movement. He has published many essays in these areas. He is editor, with Jack Salzman and Cornel West, of The Encylopedia of African American Culture and History, a 5-volume work from Macmillan. As the poet D. L. Crockett-Smith, Smith has published Cowboy Amok and Civil Rites, both from The Black Scholar Press. 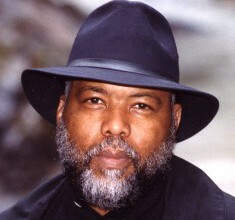 His work has appeared in many magazines and anthologies, including The Oxford Anthology of African American Poetry. He translates the works of Spanish and Latin American poets, specializing in Federico Garcia-Lorca and Pablo Neruda. In 2008-2009 he translated five volumes of poems by García-Lorca. He is currently working on “What Is Black Culture?”, a rumination on the expressive traditions of African Americans. David Smith has also been active in the musical culture of the Berkshires. From 2000 to 2005, he was Director of the W. Ford Schumann Performing Arts Endowment at Williams College. Since 1981, he has hosted “Let the Music Speak,” a weekly radio program on WCFM at 91.9 FM. The show explores jazz, blues, rhythm & blues, and various other genres, from folk and country to classical. He has served on the advisory committee for the ’62 Center for Theatre and Dance since its inception in 2006. He lives in Berkshire, MA, with his wife, Vivian.